DURING THE SUMMER OF 1936, destitute farmers from the Dust Bowl swarm into California, and an old friend brings police detective Tom Hickey a manuscript, a clue to the mystery of his father Charlie’s longago disappearance. Tom chooses to risk losing his job and family to follow this lead. Even his oldest friend and mentor, retired cop Leo Weiss, opposes Tom’s decision. Why so passionately? Tom lures the novelist B. Traven to a meeting on Catalina and accuses him of manuscript theft and homicide. Traven replies that the Sundance Kid, having escaped from his reputed death in Bolivia, killed Charlie. Tom crosses the desert to Tucson, tracking the person or ghost of the legendary outlaw. He meets a young Dust Bowl refugee intent on avenging the enslavement of his sister by an L.A. cop on temporary border duty in Yuma. Tom frees the sister, delivers the boy’s revenge, and becomes a fugitive, wanted for felony assault by the L.A.P.D., his now-former employer. What he learns in Tucson sends Tom up against powerful newspaper baron William Randolph Hearst. He hopes to enlist Leo, but instead Leo offers evidence that Tom’s father was a criminal. For Tom and his sister, both victims of Charlie’s wife, their crazy mother, what now? This is the final chapter in the Hickey saga that ranges across the 1900s. While reading my thoughts on this topic, please keep in mind that my taste should not be confused with the general public's taste, and that I'd suggest writers should try refining the topic to "what my sort of readers think a good mystery needs." Because there are all sorts of mysteries. By the way, long, loose sentences such as the first one above are a turn off to editors, and to most mystery readers. Or so I hear. Okay, a good mystery novel, according to me, needs compelling characters, a valuable theme, lots of questions, and a plot that doesn't give away the solution but feels right and justified when it's revealed. Those qualities will make me eager to read more of an author's work. Good stories are about people, or in some cases, animals (who usually think and feel like people). A story that grips and satisfies me will always have at least one character I either pull for (or occasionally against) or about whom I want to learn. He or she could be a detective as generous and good-hearted as Tony Hillerman's Jim Chee, or a villian as despicable as Patricia Highsmith's Ripley or J.K. Rowling's Voldemort. And I, and at least a few other dinosaurs, appreciate theme. Lots of writers and writing teachers consider theme taboo or laughable. Sure, a story that appears written primarily to present a theme can be dreadful and annoying. But I don't care to read anything that is strictly for entertainment. I want to also experience and take away something valuable. It doesn't need to be a specific moral or an answer to some universal concern like why there is evil in the world. It could be, say, a depiction of cooks or gardeners that encourages me to respect those vocations more highly. I may not even be able to define the theme since it could simply be a reflection of the narrator's particular and interesting attitude. I don't demand profound lessons, just something I can use. Life's so short and often difficult to navigate, I'm always in need of learning or growth opportunities and most appreciate when a favorite activity, such as reading, offers them. This next advice, I heard from two respected mystery writers, Michael Connelly and Robert Crais. They got from Raymond Chandler, from his collected letters, I believe. The advice: try to include a question on every page. Chandler even claimed (though he was a humorist as well as a storyteller) that he wrote on steno pads because he generated more questions by using smaller pages. And here's a requirement I believe applies equally to all fiction, not just mystery: the resolution or solution should be so craftily planted that though it won't be obvious and may even come as a surprise, at the same time we will think, "Oh man, I should've known that." Then the reader, at least if she's like my beloved grandma, puts down the book thinking, okay writer, you outsmarted me this time, but I'm going to read more of your books and you're not going to outsmart me again. So there. The abomination we call World War I cost about nine million lives. Then, before the survivors could dry their tears, an influenza epidemic wasted another twenty million of us. Next came Prohibition. How the temperance peddlers swindled Congress into enacting such a law at that most ill-advised time, sensible folks found beyond comprehension. They knew full well booze was proven to lighten grief for a few hours. Prohibition, a blunder of unfathomable magnitude, launched an era of violence beyond what even wild-west Los Angeles could abide. During the first six months of its reign, seventeen LAPD officers, two percent of the force, got shot down. The police department, under Chief James Davis, turned its guns on renegades: bootleggers who failed to pay up, Communists, and “Wobblies,” agents of the Industrial Workers of the World. Whoever failed to abide the big shots’ rules. Under Chief Davis, cops either played the big shots’ game or got the boot. During one shake-up, dozens found themselves dismissed on spurious misconduct charges. One dismissal would’ve been Detective Tom Hickey, if not for the intercession of Port Commissioner Kent Parrot, the city’s kingpin political fixer. Ken Kuhlken’s stories have appeared in Esquire and dozens of other magazines and anthologies, been honorably mentioned in Best American Short Stories, and earned a National Endowment for the Arts Writing Fellowship. 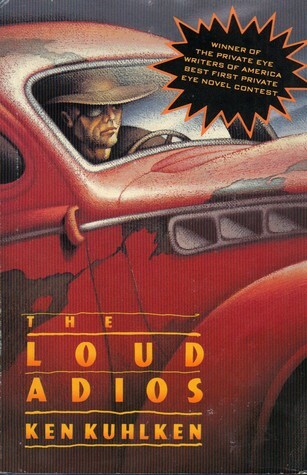 His novels have been chosen as an Ernest Hemingway Best First Fiction Book, a Private Eye Writers of America Best First Novel, and a Shamus Awards Best Novel. 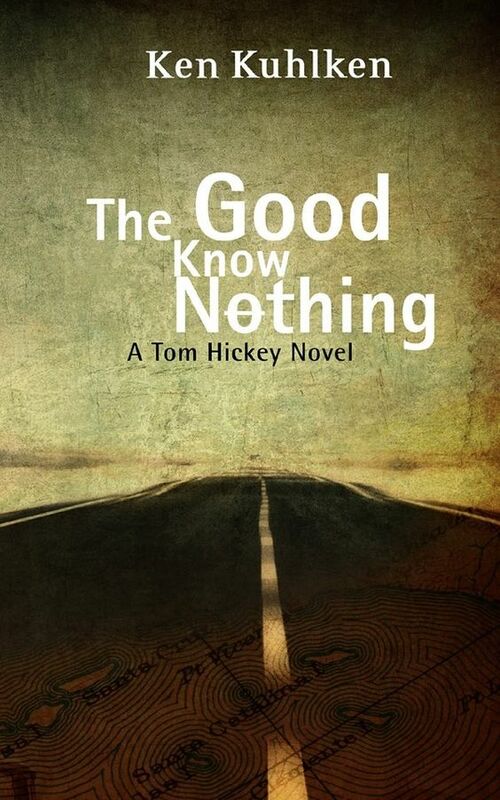 The novels are Midheaven and the Tom Hickey California Crime series. Some great insight from this author on mysteries. Thanks so much for sharing with us!